QATAR is just as dangerous to world stability as North Korea, the US President’s former strategist has said. 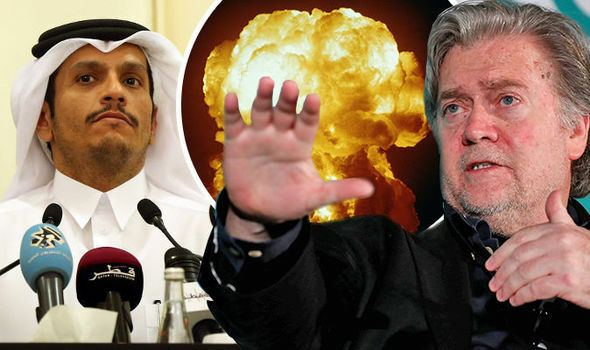 Steve Bannon claimed Qatar is the single most important thing happening in the world and people should be paying a great deal of attention to it. The Saudi-Arabia led isolation of Qatar is the most worrying confrontation in the world at the moment, the former strategist added. The US is currently backing moves by the Saudis to punish Qatar for allegedly funding the Muslim Brotherhood and other “radical Islamic terrorism”. “I don’t think it was just by happenstance that two weeks after the summit that we saw the blockade by the United Arab Emirates and Bahrain and Egypt and the king of Saudi Arabia on Qatar,” he said. Saudi Arabia, the UAE, Bahrain and Egypt imposed an unprecedented land, sea and air blockade on their rich Gulf neighbour on June 5. Qatar has rejected accusations that it supports extremists groups and signed a counter terrorism agreement with the US last month. 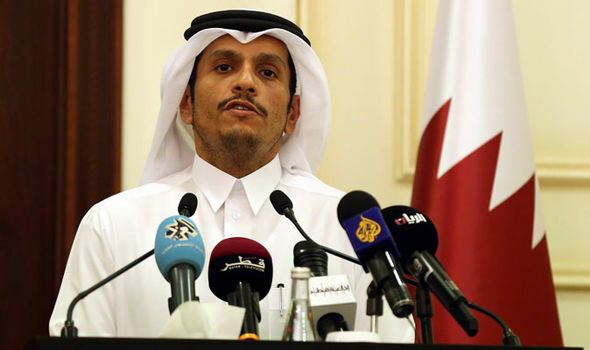 Qatari Foreign Minister Sheikh Mohamed bin Abdulrahman Al Thani has said that the countries behind the blockade have not yet provided evidence to back up accusations that Qatar supports terrorism. US Secretary of State Rex Tillerson has tried to protect US interests by rowing back on Donald Trump’s apparent support for the boycott early on.